JAKARTA, -- The Komodo 2016 international naval drills involving more than 30 countries of the Asia-Pacific Region, including Russia, have started in Indonesia, the exercise’s organizers said on Tuesday. The maneuvers involve 28 ships, including six Indonesian vessels, the organizers added. "We need to cooperate with friendly countries, which naval forces operate from the Pacific to the Indian Ocean. I fully support the necessity of holding such maneuvers," Indonesian President Joko Widodo said during a review of the ships taking part in the exercise. This event in Padang in the province of West Sumatra opened the maneuvers that will last through April 16. 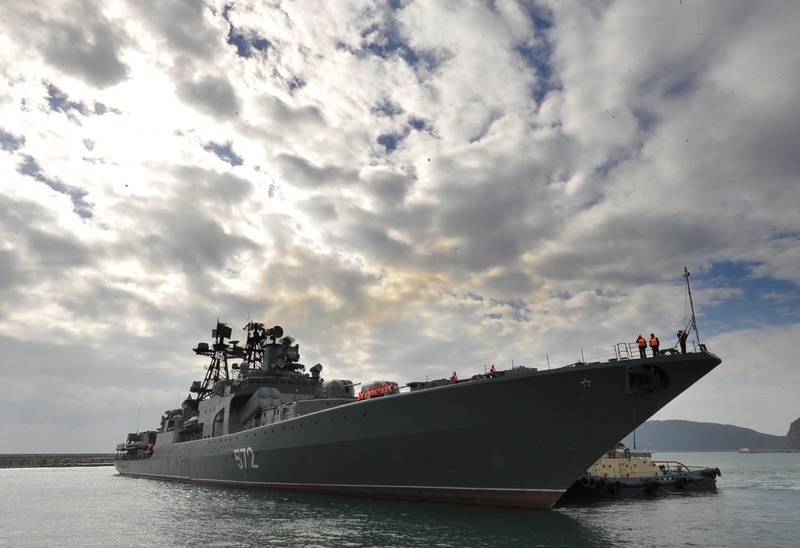 A group of Russian Pacific Fleet warships arrived in Indonesia on Monday to take part in the Komodo 2016 international exercise. As the Russian Eastern Military District’s press office said, Russia is represented by the Project 1155 large anti-submarine ship Admiral Vinogradov, the ocean-going rescue vessel Fotiy Krylov and the tanker Irkut. Russian sailors are taking part in the drills for the second time. During the maneuvers, the ships will practice cohesion in disaster relief and sea resources preservation operations. The exercise involves member-states of the Association of Southeast Asian Nations (ASEAN), as well as the United States, Japan, Australia and other countries of the Asia-Pacific Region. The Russian Navy Admiral Vinogradov (DDG 572) Udaloy-class heavy anti submarine warfare destroyer with anti-ship capabilities.